Amanpuri (meaning "place of peace") is a holistic sanctuary inspired by ancient Thai therapies in a prime location on Phuket Island. Amanpuri's Awareness Immersion taps into the stillness and peace that can be found in your inner realm. Providing a space for clarity of thought, a lightness of the spirit and a deep connection with the natural world around you, the Immersion brings forth an internal focus, aiding formation and a way to reconnect to self through practices of meditation, Yoga and alternative therapies like Reiki. The programme begins with a welcome consultation which is followed up by two specialist sessions each day, including sessions with former Buddhist monk, Amamai, who will be your intuitive guide to the spiritual dimension and has been sharing his profound wisdom for over 30 years. The Immersion includes daily spa treatments, group sessions, and nutritional and liquid-based meals and refreshments. This retreat is also available for 5, 7, 10, 14 nights. Please inquire for pricing. 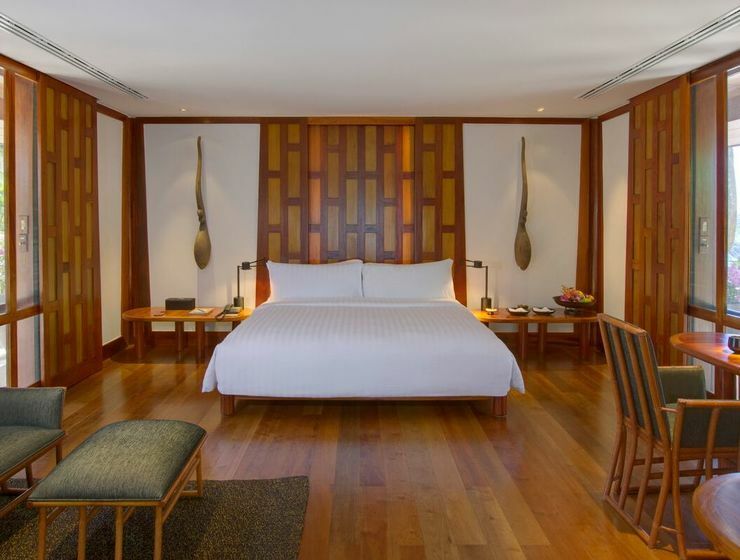 There are two types of accommodation at Amanpuri: 10 Pavillion and 17 Villas. The luxury Pavillions and Villas are elegant with beautiful interiors that are filled with custom-made furniture and decorated with artwork to make guests feel welcomed and at home. Amanpuri has four on-site restaurants, giving guests the luxury of choice on their wellness retreat: choose from local Thai flavours or international cuisine, and a variety of dining experiences. An elevated dining experience, Nama employs the UNESCO-recognised Japanese tradition of washoku, which is a style of cuisine that evolves cooking into an art form that takes years to perfect. All Nama dishes are embedded with a strong sense of locale, focusing only on the finest ingredients available nearby. Arva or 'cultivated' is the home of Amanpuri's earthy, heart-warming Italian dishes, including catch of the day, free range chicken and a cornucopia of market fruits and vegetables providing a sociable, seasonal and sustainable menu that showcases Italian classics in their purest form. With smooth and aromatic curries to fresh salads and perfectly balanced Padthai, Amanpuri's Thai Restaurant has been producing authentic cuisine for about 30 years. Chef Jitsangworn and her team proudly bring in a mixture of flavours, esteemed experience and world-class hospitality to Amanpuri. The Beach club offers a more informal setting for socialising and casual dining. The restaurant is modelled after bustling food markets, showcasing the freshest catch of the day and all the prime meats, grilled to order, along with wood-fired pizzas as well as a beautiful display of various Mediterranean salads. Immersions are valid for new bookings only, and are subject to availability. They are not combinable with any other exclusives. 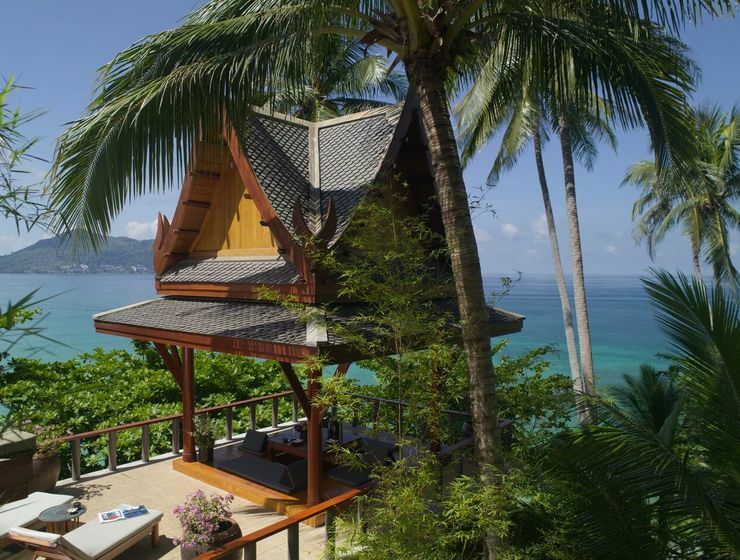 Amanpuri projects into the Andaman Sea on a small bluff on the west coastline of Phuket, near Bangtao Beach. A 30-minute drive from Phuket International Airport, the resort is both secluded and private under the palm canopies and easily accessible.